All pre-ordered tickets must be collected from Stark’s Park before 4pm on Friday. A limited number of tickets will be available from the ticket pod at Easter Road after 1pm on matchday. Raith Rovers head to Easter Road this weekend, to face Hibernian in a fifth round Scottish Cup clash. It’s a venue which Rovers have sampled cup success in the past, with three huge wins there since 1998, although admittedly not all have come against the Leith side. John Millar was the scorer of both Raith goals in a 2-1 Scottish Cup 3rd round tie back in January 1998, and it was three different scorers who pulled off a similar shock almost five years ago to the day, when Kevin Moon, Dougie Hill and Grant Anderson scored Raith’s goals in a 3-2 victory. Just two months later, Rovers were lifting silverware at the same venue, when a late John Baird goal sealed a famous Ramsdens Cup triumph for Grant Murray’s side against Rangers from League One. It’s not just the cup where Easter Road has proved a happy hunting ground however, with Rovers pulling off some fine league results at the venue, with three 1-1 draws as the teams shared a division between 2014-2017. If Rovers are to stage a victory this Saturday however, it’ll arguably be a bigger surprise that the ones that went before it, with two divisions now between the teams, rather than the one which separated them during the last two Scottish Cup victories. 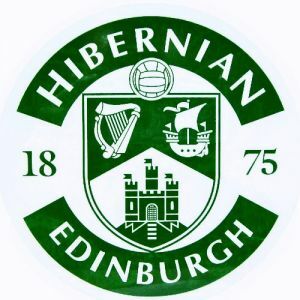 Hibs, who are on a run of just three wins in 17 league games may be in something of a transitional phase following the departure of Neil Lennon, but Rovers have also struggled for form in recent weeks, with their only win in their last four outings coming against Dunfermline in the last round of the cup. Rovers have a mixed record in this one, with two wins and three draws from the last 10 meetings between the clubs.